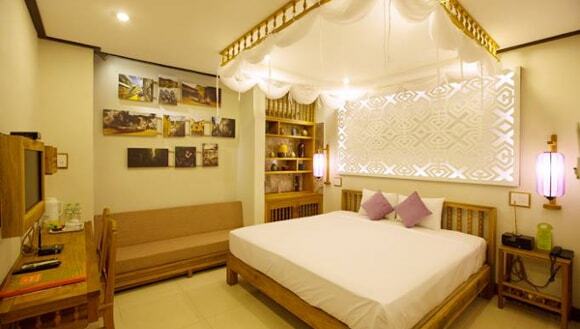 Vinh Hung library hotel is placed at the ideal position in the center of Hoi An city where one of the well-know areas of city so it suits to the travelling and business trips. It is distant the city center about 0,5 km so it is very easy for tourists to approach other destinations of city. 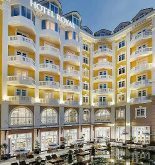 That means this modern hotel is located in the surrounding area with the well-know places of city such as Phac Hat pagoda, Cam Pho temple, Tran Gia cathedral. 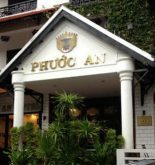 You had better take advantage of at least once the countless services and the unrivaled facilities in this Hoi An hotel as. When staying in this hotel, tourists will be enjoyed the free feeling because they have concierge, in-room dining service, the meeting and seeing off tourist service at hotel or airport, safety box and wifi in public areas. The quality of Vinh Hung library hotel is reflected through each room: non-smoking rooms, shower, LCD/Plasma television, mini bar especially fan is one of equipment which is satisfied by customer. Whether you want to take part in the interesting activities or just need to relax after the busy and hard working days, it is extremely comfortable for you to use recreational facilities like outdoor pool. 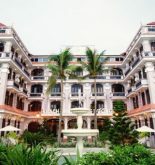 In general, Vinh Hung library hotel will always be the perfect choice for your vacation in Hoi An. This information has been supplied by Vinh Hung Library hotel.